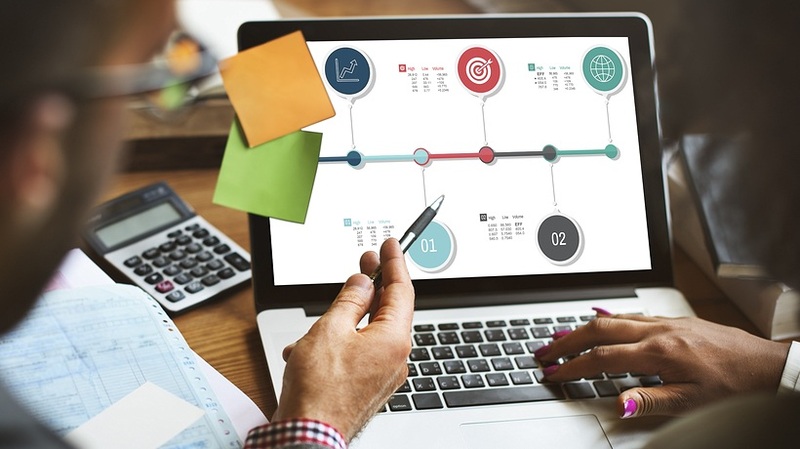 Is promoting your eLearning event really worth the time and investment? Are online marketing techniques truly effective? In this article, I'll highlight the top 7 benefits of promoting eLearning events. At first glance, planning an eLearning event seems relatively simple and straightforward. After all, how hard could it be to invite a few guests, get some guest speakers, and book a venue? Unfortunately, hosting an eLearning seminar, conference, or workshop is anything but stress-free. There are a myriad of things to consider, and your to-do list grows longer by the minute. One of the most challenging tasks is marketing your eLearning event and filling those seats. You may even begin to wonder whether it's all really worth it. Should you market your eLearning event or just let the cards fall as they may? Here are 7 convincing reasons why you should promote eLearning events. eLearning events offer you the rare opportunity to reach a niche audience who is already interested in eLearning products and services. They are on this site because they’re looking for specific information, tips, and tools. As such, there is no trial and error involved when it comes to finding your demographic. This offers a myriad of side benefits, such as increasing your eLearning event attendance rates and improving your marketing ROI. Getting people to your site is half the battle. Even if visitors know exactly what they’re searching for, your website may get lost in the shuffle. Thus, readers are unable to discover your brand and the products and services you’re offering. Fortunately, an eLearning event promotion can drive traffic to your site and improve your conversion rates. You’re able to include links to URL in the post, which makes it easy for attendees to find you. Once there, they can read guest speaker bios and discover additional benefits of event features. In other words, its another opportunity for you to turn readers to attendees. An eLearning Event comes with free social media and Google ad promotion. However, you can also use the eLearning event announcement, itself, to enhance your social media presence. For example, creating hashtags that attendees use to ask questions and discuss the upcoming function. If all goes well, your hashtag will reach the top of the "trending" list. This leads to even more social media exposure, which leads to more attendees. Social media also provides attendees with an online meeting space. For instance, you can create an exclusive closed group for those who have already signed up. This serves as yet another perk that attendees can enjoy before, during, and after the eLearning event. An email marketing list is worth its weight in gold. The people on it are already interested in your brand, which means that they are hot prospects. An eLearning event can help build your email database and make your eLearning marketing strategy more effective. Even if readers aren’t interested in the current eLearning event, they may sign up for future functions. Better still, they might be ready to make a purchase. Include your site URL in the eLearning event announcement and place an opt-in on the landing page. Readers get the chance to provide their email address in exchange for regular updates and exclusive offers. You never know who might read your eLearning event announcement. Potentially even companies or business owners who are willing to offer a sponsorship. They cover a certain percentage of your costs or provide free products. In return, you feature their branding on your signage or allow them to guest host your eLearning event. A lucrative sponsorship could allow you to scale up your function. For example, renting a larger venue in order to hold more guests or offering bigger and better perks for those who RSVP. If you do land a sponsorship, be sure to create a contract and iron out the details in advance. Both parties should clarify their expectations and obligations. For instance, what percentage of the costs is the company going to cover and what do they get in return? eLearning Industry has more than 500,000 readers every month, and our weekly email newsletter is sent to over 90,000 subscribers. Your eLearning event is featured in that newsletter, as well as on all of our network sites. Just think of how many eLearning professionals, SMEs, and industry experts are going to find out about your eLearning event. Chances are, at least a handful of these people will seize the opportunity to speak at your function. You get to add them to your list of event highlights. Your attendees benefit from their expertise and know-how, and the speaker can promote their site, products, or services to your guests. If you’re still trying to fill guest spots, mention that in your eLearning event to attract the right people. That brings us to our last benefit, which is also one of the most profitable. Some readers may not know about your company until they read the eLearning event. In which case, it would serve as an introduction that enhances your credibility and professional image. If they like what they see, they are likely to click through to your site and peruse your eLearning goods or services. This is why it’s so essential to create a polished eLearning event announcement that conveys your brand message and tone. It’s your chance to make a great first impression, which can turn casual readers into loyal customers. 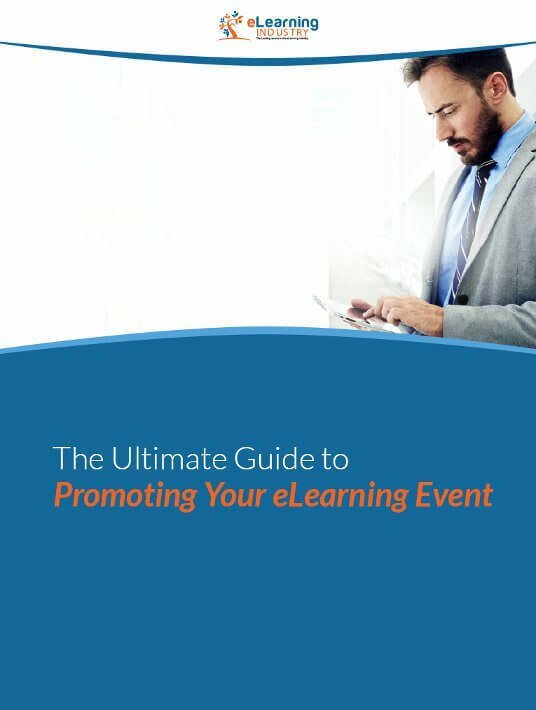 Promoting your eLearning event may take some time and effort. But all your hard work will pay off in spades when your sales skyrocket. Each of these 7 benefits has the potential to enhance your brand image and expand your customer base. Do you want to track the effectiveness of your event marketing strategy? Our event promotion service gives you the power to track each campaign and monitor your site conversion rates.